This week’s cocktail adventures had me drinking in near proximity to celebrity types as well as presenting an award about booze. Yes, pretty fancy times which were further enhanced by enjoying rare gems like $3,000 vodka and 22-year-old scotch. 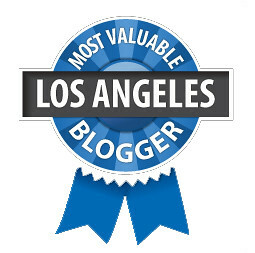 For the inaugural Carpano Antica Formula Video awards, I had to present one of the awards (eek!) so was in dire need of liquid courage. Fortunately the Fernet Branca and Carpano Antica sponsored show had hosted bars for the guests so I partook of an Americano Royale with Carpano, Campari and champagne as well as a Hanky Panky with gin, sweet vermouth and Fernet. Followed that up with a shot of tequila with the other presenters which made it all so much better, and then rewarded myself with a shot of Fernet once my presenting stint was over. Surprisingly, I wasn’t wasted at the end of the night. A rare quiet night in warranted some cocktail exploration. Hmm, what can I make with creme de violette that doesn’t involve lemons? The Atty! Gin, absinthe, dry vermouth and creme de violette. Pretty, little intense cocktail. I have to perfect the ratios, though, I think as the two recipes I looked up had different measurements. I had gone with this one but since I didn’t have a jigger with a one-eighths measurement, I guessed. As it was I think I may have added more absinthe and creme de violette than called for. Still, I like its potential. Elit by Stoli Babbling Brook cocktail on Wednesday. This is where the $3,000 bottle of vodka comes in. Here I was invited to a special tasting of Elit by Stolichinaya’s Pristine Water Series: The Himalayan Edition at the schmancy Petit Ermitagett ‘s rooftop. It costs three grand because it’s made with water sourced from the Himalayan mountains and Russian winter wheat. But at the event they used the regular Elit by Stoli vodka ($60) for the different cocktails like the above Babbling Brook, which is made with the Stoli, lemon and housemade curacao mint syrup. That garnish there is a Szechuan “buzz” button that we were told to bite, swish around in our mouths and wait. Suffice it to say, my least favorite garnish EVER. I know some people got a kick out of the weird sensation it caused but for me, it felt like I was having an allergic reaction and I couldn’t stop salivating. Crazy. I just used the cocktail to try and soothe my aggravated tongue. Enjoying martinis with friends bartender Joshua Lucas, LA Times writer (and my girl!) Jessica Gelt, Savory Hunter’s Aaron Tell and bartender Dave Kupchinsky on Wednesday. My favorite cocktail at the event had to be the classic martini with a twist. Simple, clean and you could actually taste the vodka. They later passed out ice shot glasses filled with the $3K Himalayan vodka. Unfortunately I couldn’t sip it pensively because those ice shot glasses hurt like heck to hold. Could I tell I was drinking $3K vodka? Not really, but then again what does $3K taste like? It IS my favorite vodka though. 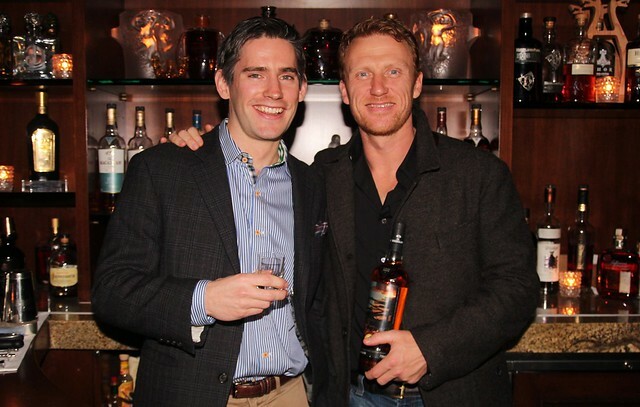 LOTS of Macallan with brand ambassador Charlie Whitfield and actor Kevin McKidd on Thursday. For the third in the series, photographer Annie Leibovitz snapped pensive shots of Scottish actor Kevin McKidd in various pensive poses around New York City. Four of the shots will be on four individually customized bottles of four differently aged single malts. So yeah, we tasted the Skyline which was aged in an American oak cask. The youngest of the single casks, its hint of oak pops up and then gives way to citrus and cinnamon. 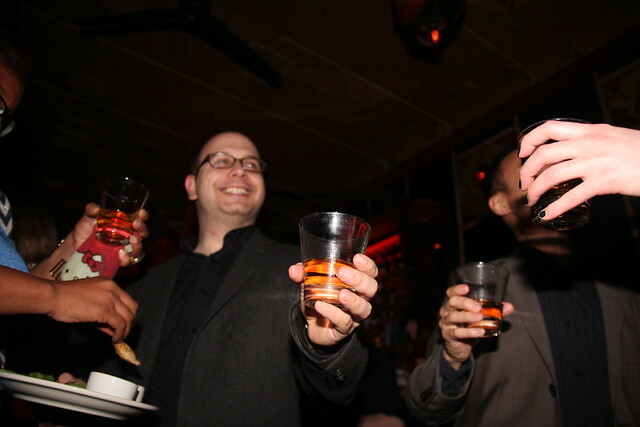 Toasting a Macallan 15 year at Bar Marmont on Thursday. Afterward we scooted via party bus to Bar Marmont but on the way there Macallan brand ambassador poured us a 22 Year. Apparently they haven’t released it yet so we were getting an exclusive albeit tiny sip. Those brief seconds it passed over my tongue were heaven. Rich and honeyed. Once again Bar Marmont was my least favorite stop of a blogger barhop. Only it wasn’t as bad as last time since they allowed us to take pictures for this event. We enjoyed some fried artichokes and French fries and then toasted with a double pour of Macallan 15 Year Fine Oak. But the piece de resistance of the evening was getting to chat with Kevin McKidd at the end of the night during the last stop of the hop at the Roger Room. Now I’m not a Grey’s Anatomy fan so what made me blush wasn’t that he’s on some TV show but the fact that he has a Scottish accent. Heh. Seriously though, what a nice and down-to-earth guy. He listened to us go on and on about which bars he should check out. Our conversations fueled by the Macallan 18 Year and matching Compartes chocolates. Harvard and Stone Vieux Carre on Friday. My good friend Mattatouille was celebrating his 28th birthday this evening. And even though my cold has reduced me to a leaky mess and it was raining, I showed up for it. He’s my boyyy! I met up with his crew at Harvard & Stone to take in the burlesque performances and knock back some cocktails. Unfortunately, the cocktails weren’t up to what I’ve come to expect from previous visits to H&S. The cocktail du noir at the R&D bar, Gin & Juiced, was an unappealing mix of pear brandy, grapefruit, orgeat and gin with the pear clashing with the bitter citrus and the orgeat contributing a viscous texture. I followed that up with a Vieux Carre from the surly bartender who did a heavy pour of Carpano. The saving grace of the evening was the sips I had of an Elijah Craig neat. Pfew! What a week. I’d like to give my liver a rest but I’m looking to check out Dave Kupchinsky’s brunch cocktails at the Eveleigh this weekend. Stay tuned! Gotta love a surly bartender. Nah, I like surly in dive bars. Hipster bars? Not so much. That 1/8 oz measure in Tuesday’s Atty—that’s about a barspoon, so there’s an easy way for next time (and no laboratory equipment required.) Thanks for the link! Yeah, I figured that out after. 🙂 Can’t wait to try again! Hm, maybe tonight!